Everyone knows how important content marketing is in generating new leads and sales. However, with the increasing number of businesses relying on great content, the competition is fiercer than ever. As a result, you must have a well-thought content marketing strategy. But how do you know what type of content will work best for your business? In this article, we will discuss the power of creating different types of content. Before we get into various content formats, let’s take a look at why content marketing is such an essential tool. First of all, content is one of three main SEO search ranking factors. Content can also help you build trust and authority in the industry. By creating relevant content, you are showing your expertise and you are giving your visitors and customers helpful information. Note that there is no single type of content that appeals to every visitor. That is why you should choose more than one content format for your strategy. When done the right way, blog posts can help you establish an authority within your niche and improve your search ranking big time. When it comes to blogging, Buffer is one of our favorite examples. They used guest blogging to fuel their initial growth, writing a couple of times a day and publishing content on high visibility sites. That strategy helped Buffer attract their first 100 000 users. On their own blog, the company focused on writing for the people who influenced their customers, producing high quality and shareable content. The results of Buffer’s blogging strategy? They are a highly recognized and trusted brand, with more than 400,000 users, and around one million followers on social media platforms. Another company that shows best the power of blogging is Hubspot. 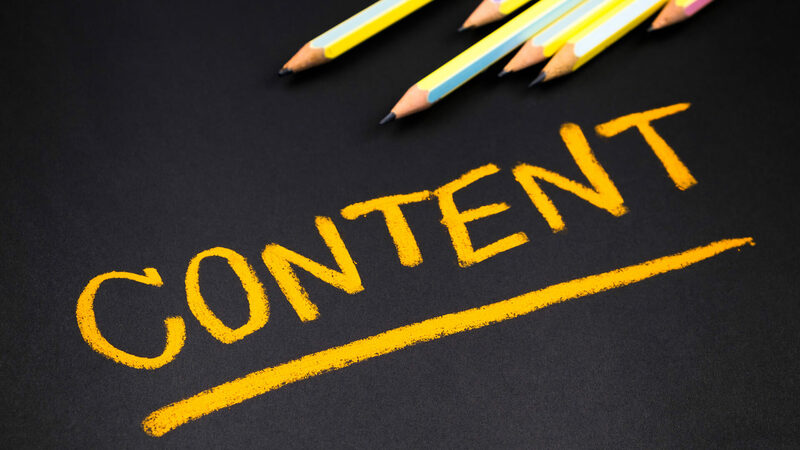 Their in-depth blog posts helped many customers solve their issues regarding content marketing. In addition to their amazing blog posts, they are creating more educational content, such as ebooks to their blog posts and webinars. We can say that their blogging strategy is working, as they are one of the leading content marketing companies nowadays. Video content is trending in 2018, and according to Google, video content is trusted source for 40% of millennials. Video is also one of the content formats that generates business revenue. Research conducted by Aberdeen Group shows that companies that use video content get 66% more leads per year than the ones who don’t. With great video content, even the boring industries can turn out to be fun. One of our favorite examples is Blendtec – a blender company that found a way to make blending interesting by trying to mix weird stuff. The Will It Blend series became so popular online thanks to their videos, and that resulted in a 700% increase in sales in a three-year period. Nowadays, Blendtec’s YouTube channel has almost 900 000 subscribers, and the campaign is still popular. There are numerous ways that you can use video in your content strategy. For example, if your product needs a bit of explaining, create a video to do that. Explaining what Bottle Cutting Inc. sells using just words is not easy, and the video on their homepage is a wise approach. Furthermore, you can create videos to showcase features of your products or services, or to help customers setup your product. Infographics are among the most shared content online and 84% of those who use infographics to market their business find that content format effective. While it is important to get the graphic elements right and make your infographic visually appealing, don’t forget to use only the interesting and reliable information. Fortunately, creating infographics does not require any special design skills, because there are tools such as Infogram and Piktochart that really easy for you. You can also download Hubspot’s 15 free infographic templates for Powerpoint. We’re sure that you’re already aware how good and high-quality images are important for your content strategy, but let’s take a look at a few facts. Every minute, 15 000 GIFs are sent on Messenger and 46 200 Instagram posts are uploaded. Therefore, whatever you do, make sure to have good images ready! And the fans love it: Gucci has more than 23 million Instagram followers, and more than 17 million on Facebook. Case studies are a very effective content marketing tool for winning new businesses. By using them, you give the chance to feature your customers and to show what you’re doing right, create niche specific content, build trust and authority and highlight your competitive advantage. Ebooks are a great way to create downloadable content quickly, and when done right, you can use them as a lead magnet. Hubspot uses ebooks as lead magnets to collect customer information, such as their email address for a newsletter. Chelsea At HerPaperRoute also uses this technique to get newsletter signups. For example, they created a book with thousands of Instagram hashtags. Who wouldn’t want to give their email for that data? According to ReadyTalk, webinars (or online seminars) are an excellent content format, because between 20% to 40% of those who attend webinars become qualified leads. Webinars usually consist of a presentation and a brief Q&A session. They help you show off your expertise, and you can also demonstrate products and services so that attendees actually know how to use them. Aforementioned Chelsea At HerPaperRoute organizes webinars for blogger workshops. In case you sell products online, you’d want to use newsletters to recover your abandoned carts, but also to inform people about new collections, promotions, and other relevant things. Choosing the right content for your business can be tricky, but it can help grow your business significantly. Use one of these types of content (or a few of them) to raise awareness about your brand and to generate more leads and sales!